looking for creative, outgoing wedding photographers! 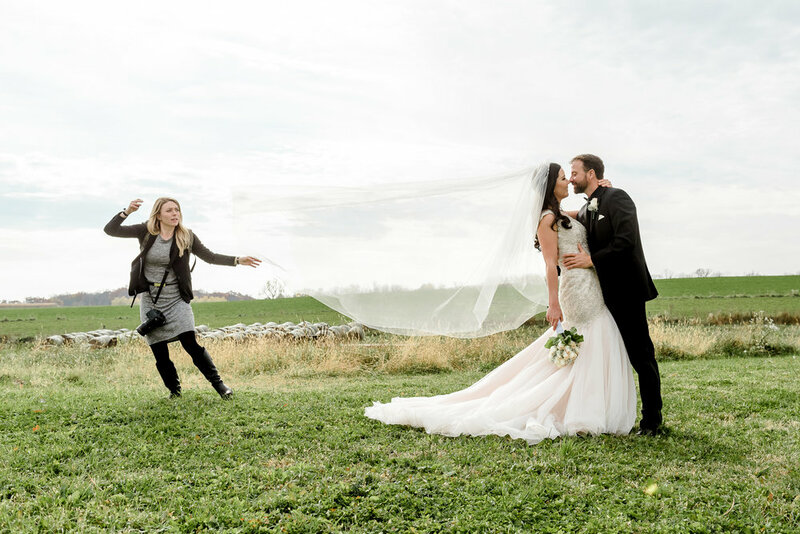 As LRP has grown, we are now hiring additional associate photographers to offer an additional option for inquiring brides who love our style, but perhaps cannot afford to hire Laura + Nathan or for when we are already booked for a date! If you're looking for a way to photograph weddings and not have to worry about the business side of things, read below and connect with us if this sounds like you or someone you know! We are looking for 2-3 experienced associate photographers. Specifically, we are looking for LEAD PHOTOGRAPHERS, who may also act as second photographers to Laura or Nathan. Ideally, these photographers have photographed at least 3-5 weddings, preferably as a lead photographer. STRONG PREFERENCE GIVEN TO EXPERIENCED WEDDING PHOTOGRAPHERS WITH 20+ WEDDINGS PHOTOGRAPHED AS A LEAD PHOTOGRAPHER. Photographers with primarily second photographer experience may also be considered, depending on the quality of work. We pay you a flat rate based on package booked (Depending on Experience Level) to book the wedding date, photograph the wedding and deliver all images to us; we pay a retainer to hold the date and the balance after we receive all of the images of the day. We are able to offer additional dates and second tier of pricing to inquiring clients while you still get to do what you love and we do most of the work! You have your own professional camera(s) and lenses; bonus if you have your own off-camera flash equipment! You would have to be willing to shoot weddings and engagements exclusively under the Laura Robinson Photography brand (I don't mind if you shoot portraits on your own), so please consider that when applying. Of course, experience and personality is huge, and would be given preference. We're looking to hire photographers who are very out-going, friendly and kind to represent the LRP brand well. If that sounds like you or you know of someone, please fill out the form below. Ready for the next step? Apply Below! We look forward to learning more about you! Thanks for filling this out. Please note, I will only be contacting those who I feel fit our needs at this time. Thank you! Other - Describe at the end of the application in "anything else we should know?" Thank you for your application! If you are a good fit for the position, we will contact you with further details.